#Olsen .com : Twenty-two year old #domain made it through the #UDRP process! :DomainGang #Olsen .com : Twenty-two year old #domain made it through the #UDRP process! Olsen.com is a domain registered in 1996, and a very common surname. Despite its age of 22 years, Olsen.com was hit with a UDRP, from Olsen Holding GmbH of Hamburg, Germany. According to the UDRP, the Complainant owns the trade mark OLSEN registered as an international trade mark since at least 1995 for clothing. However, even without this assistance it is a matter of judicial notice that “Olsen” is a common surname in certain parts of Europe and this registration was an early registration which has been extant for over 20 years. The request to transfer the domain Olsen.com to the Complainant was thus, denied.  Full details of this UDRP decision follow. Olsen Holding GmbH v. Domain Admin, Whois Privacy Group / Domain Admin, Mighty Products, Inc. The Complainant is Olsen Holding GmbH of Hamburg, Germany, represented by Weber & Sauberschwarz, Germany. The Respondent is Domain Admin, Whois Privacy Group of Nassau, Bahamas / Domain Admin, Mighty Products, Inc. of Wilmington, Delaware, United States of America. The disputed domain name <olsen.com> (the “Domain Name”) is registered with Internet Domain Service BS Corp (the “Registrar”). The Complaint was filed with the WIPO Arbitration and Mediation Center (the “Center”) on March 15, 2018. On March 15, 2018, the Center transmitted by email to the Registrar a request for registrar verification in connection with the disputed domain name. On March 19, 2018, the Registrar transmitted by email to the Center its verification response disclosing registrant and contact information for the disputed domain name which differed from the named Respondent and contact information in the Complaint. The Center sent an email communication to the Complainant on March 20, 2018 providing the registrant and contact information disclosed by the Registrar, and inviting the Complainant to submit an amendment to the Complaint. The Complainant filed an amended Complaint on March 20, 2018. In accordance with the Rules, paragraphs 2 and 4, the Center formally notified the Respondent of the Complaint, and the proceedings commenced on March 21, 2018. In accordance with the Rules, paragraph 5, the due date for Response was April 10, 2018. The Respondent did not submit any response. Accordingly, the Center notified the Respondent’s default on April 13, 2018. The Center appointed Dawn Osborne as the sole panelist in this matter on April 20, 2018. The Panel finds that it was properly constituted. The Panel has submitted the Statement of Acceptance and Declaration of Impartiality and Independence, as required by the Center to ensure compliance with the Rules, paragraph 7. The Complainant owns the trade mark OLSEN registered as an international trade mark since at least 1995 for clothing. The Domain Name registered since 1996 has not been used. It is being offered for sale to third parties generally, but not specifically to the Complainant. The Complainant owns the trade mark OLSEN registered on July 7, 1995 as an international trade mark registration No. 647726 for clothing.  The Domain Name registered in 1996 is identical for the purposes of the Policy with the Complainant’s mark, has not been used and is being offered for sale. The Respondent is not associated with the Complainant or authorised to use the Complainant’s mark. The Respondent is not commonly known by the Domain Name. Inactive use cannot be a bona fide offering of goods or services or a legitimate noncommercial use. The Respondent has no rights or legitimate interests in the Domain Name. The Domain Name has not been used but has been offered for sale for a sum in excess of out of pocket costs for registration which is registration and use in bad faith. The generic Top-Level Domain (“gTLD”) “.com” in the Domain Name does not serve to distinguish it from the Complainant’s OLSEN mark as it is a necessary part of a domain name and has a generic meaning not a part of any trade mark involved in these proceedings. Under the Policy the second level part of domain names the subject of a complaint are compared with the Complainant’s trade mark as a first step. The Domain Name consists of the name “olsen” and the gTLD “.com”. The Complainant’s OLSEN mark is registered inter alia as an international registration for clothing in 1995. The Domain Name is therefore identical to a mark in which the Complainant has rights under the Policy. The Complainant has not authorised the use of its mark. The Respondent has not answered this Complaint and there is no evidence or reason to suggest the Respondent is, in fact, commonly known by the Domain Name. There has been no evidenced use of the Domain Name other than being offered generally for sale. 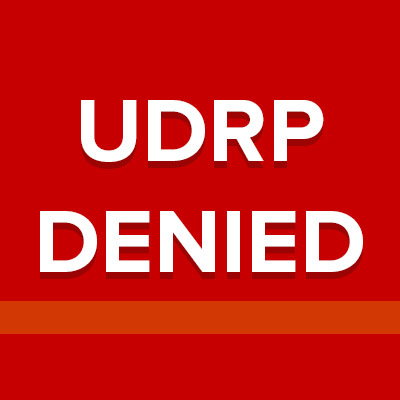 As UDRP panels have accepted that aggregating and holding domain names, including for resale, consisting of acronyms, dictionary words, or common phrases can be bona fide and is not per se illegitimate under the UDRP (see section 2.1 of the WIPO Overview of WIPO Panel Views on Selected UDRP Questions, Third Edition) and in light of the Panel’s findings under the third element, the Panel makes no finding under this second limb of the Policy. The Respondent has not responded to this Complaint to explain why it registered the Domain Name. There is no doubt that hearing the history of the background of the registration from the Respondent would have been of great assistance and it is indeed a pity that there has been no substantive response in that regard. However, even without this assistance it is a matter of judicial notice that “Olsen” is a common surname in certain parts of Europe and this registration was an early registration which has been extant for over 20 years. The Complainant has not shown on the balance of probabilities or provided any evidence that it was targeted by the registration and that this was not just a registration of a common surname for sale to anyone with an interest in that surname (and not just the Complainant or its competitors), in which case not using it and offering it for sale for a sum substantially above the out of pocket costs of registration of the Domain Name would not be in contravention of the Policy and would not be bad faith. Accordingly the Panel finds that the Complainant has failed to adduce sufficient evidence to show that the Domain Name has been registered and used in bad faith pursuant to paragraph 4 of the Policy.